Vanilla is the orchid with the world in its thrall. Often orchids are considered to be rare, and indeed some of the 113 wild species of vanilla are. But domesticated vanilla vines occupy more than 271,391 acres of land around the world, yielding around 8,000 tons of vanilla pods each year. Yet even this abundance is not enough. Demand for vanilla continues to grow, and anything from capricious weather to military coups can damage vanilla crops and their supply chains, causing yields to plummet and restricting vanilla from reaching markets. In 2000, vanilla cost $20 per kilogram; in 2004 it was $400. Consequently, while we know vanilla is one of the most beguiling flavors at the disposal of beverage manufacturers, availability of good quality vanilla can fluctuate and its pricing is volatile. Vanilla is a high-stakes ingredient, potentially expensive to manage and potentially the element that transforms a drink into an outstanding product. Vanilla’s beguilement of people began at least five centuries ago. Vanilla planifolia is the species predominantly used for vanilla production; it is native to tropical forests from Mexico to Colombia. Vanilla was described as a medicinal plant in America’s first medical book, the Badianus Manuscript, which was written in 1552 by two Aztec scholars—Martinus de la Cruz, a doctor, and Juannes Badianus, who translated the doctor’s knowledge into Latin. Vanilla was also used by the Aztecs in chocolatl, an otherwise bitter drink made with chocolate. Before vanilla came to the attention of the Aztecs, it had already transitioned from being a wild plant to a cultivated plant in the care of the Totonacs of Eastern Mexico. To reach the United States, vanilla first travelled to Europe as an unnotable component of assorted trade goods sent from Mexico to Europe by the colonizing Spanish Empire in 16th century; tomatoes, jaguars and armadillos attracted more attention at the time. Vanilla vines were carefully tended in hothouses in Europe, but flowering was elusive and no aromatic black pods were formed. In the 1700s, William Dampier, an explorer who skirted the boundary of piracy as a former commander in the Royal Navy turned privateer, was the first European to report on the process of transforming green vanilla pods into fragrant black vanilla pods. He observed vanilla pods being dried in the sun, but when he tried to cure vanilla pods himself he did not manage to re-create the properties of the pods sold by the Spaniards and Totonacs. Meanwhile, vanilla consumption increased with the French innovation of using vanilla as a flavoring by itself, not in combination with chocolate, culminating in the creation of vanilla ice cream. Before becoming president of the USA, Thomas Jefferson was an ambassador in France, where he developed a taste for vanilla ice cream as well as fine wines. Consequently, he returned to the USA with bundles of vanilla pods and a recipe for vanilla ice cream, which is now stored in the Library of Congress, Washington D.C.
France established vanilla plantations at its tropical outposts, but still the vines would not produce the fragrant pods that yield vanilla flavor until 1841, when Edmond Albius, a slave (who was freed in 1848 when France outlawed slavery) discovered a quick way to hand-pollinate vanilla flowers, causing them to form seed pods. Vanilla could now be cultivated on a large scale away from its native range. 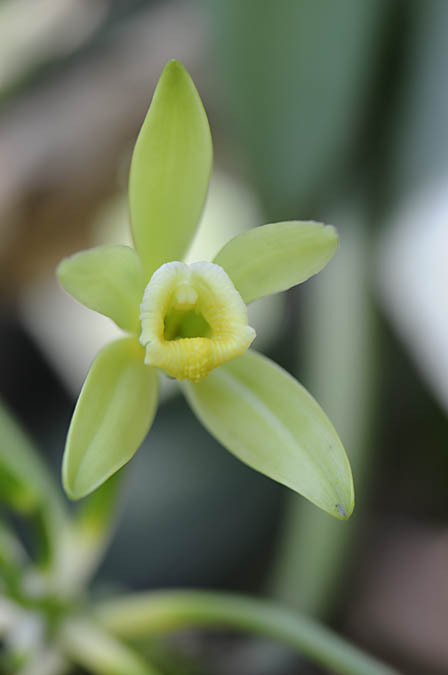 Like many orchids, vanilla is very selective of its pollinating partners. It is now known that without human intervention, vanilla is only pollinated by Melipona bees that live in Central America. Consequently, when vanilla is grown away from Central America and its natural pollinators, it must be hand-pollinated to produce pods. Even using Albius’s quick-pollination method, it is still a labor-intensive process that can only be done within a brief time frame. Each vanilla flower lasts for less than a day. Their petals unfurl as the sun rises, and when the sun reaches its zenith the flowers are wilted. Just as vanilla flowers must be hand-pollinated in order for the pods to form, those pods must also be hand-picked. Although pods are clustered in bunches, they are not all ripe at the same time. Each pod must be harvested as an individual when it is ripe in order for the full vanilla flavor to develop. Green vanilla pods must be treated to become the dark brown aromatic pods that are used as flavoring in food and beverages. Pods left on the vanilla vine will darken and cure, but they may also split, causing them to lose flavor and value. In Mexico, pods are dried in sunshine; in Madagascar they are treated with boiling water and steam before drying. Freezing and heating in ovens are also ways in which the flavor of vanilla is developed. This brief overview of the history of the human association with vanilla begins to explain why vanilla is such an expensive ingredient. Despite vanilla vines being amenable to cultivation, getting a crop of vanilla pods requires labor-intensive hand-pollination and hand-harvesting, and the pods must be skillfully cured to be transformed from fairly unremarkable green pods into intensely aromatic black pods. 3-methoxy-4-hydroxybenzaldehyde is an unwieldy name for the chemical that enthralls the world with its flavor. Also known as vanillin, it is the dominant aromatic component of vanilla. Vanillin is a molecule that can be manufactured from pine bark or even cow dung—anything containing enough lignin that can be converted into vanillin. It is also available as fermentation-derived vanillin made from engineered yeast. 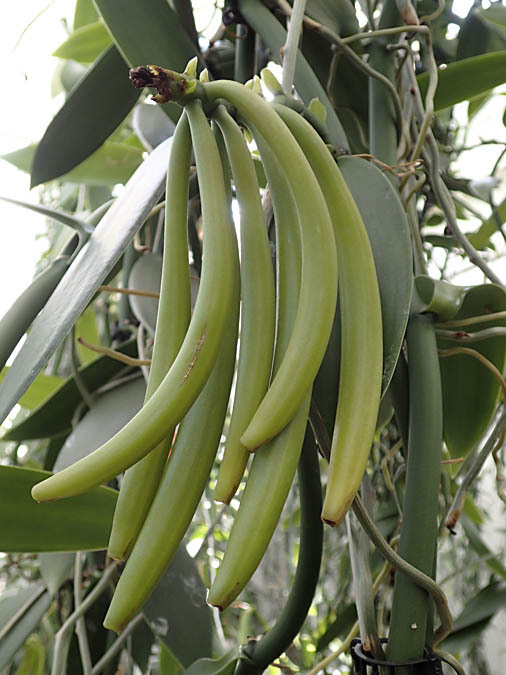 Green vanilla pods contain little vanillin. During the process of curing, vanillin is formed from other compounds contained in the pod. However, when ripe, vanilla pods still contain another 100 or more other aromatic components that shape the flavor of vanilla, including ferulic acid, vanillic acid, ethyl vanillin, coumarin and glucovanillin. Ferulic acid, also found in coffee, and ethyl vanillin, with an aromatic note of sweet violets (Viola odorata), are examples of how flavor elements that occur in disparate sources are combined in vanilla. This is why vanilla can bridge flavors that would otherwise seem at odds. In the United States and Europe, vanilla is largely restricted to use in sweet products. However, in Mexico and the tropical island of Reunion, vanilla appears in dishes that are savory. Vanilla can be used to soften bitter flavors without adding sugar. Most vanilla grown for trade is Vanilla planifolia. Differences in aroma between Mexican and Madagascan vanilla are due to differences in soil composition, cultivation techniques and post-harvest processing. However, there is another species of vanilla and a hybrid that are cultivated and available on global markets. Vanilla pompona is a visibly different species of vanilla. Its flowers are bright yellow, not the citrine color of Vanilla planifolia’s flowers. Vanilla pompona’s pods are short and plump, resembling miniature bananas, and their aroma is more floral than that of Vanilla planifolia. 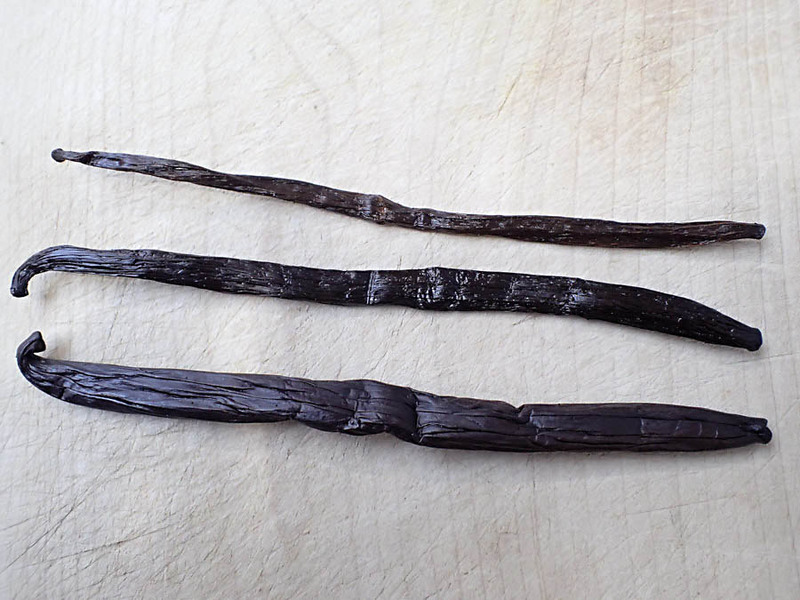 Tahitian vanilla, Vanilla tahitensis, is a hybrid and potentially the most intriguing variety of vanilla for distillers. It contains less vanillin than Vanilla planifolia, but more ethyl vanillin, which gives it a fruitier flavor. Tahitian vanilla also contains more anisyl alcohol, which has an aroma described as floral and like anise. There is also a new development in the cultivation of vanilla. For the first time ever, hundreds of vanilla vines are thriving inside greenhouses in a temperate country. In 1846, the Dutch introduced vanilla cultivation to Java in the Dutch East Indies. Their eastern empire did not last, but vanilla cultivation persisted there, and Indonesia is now the second largest producer of vanilla. 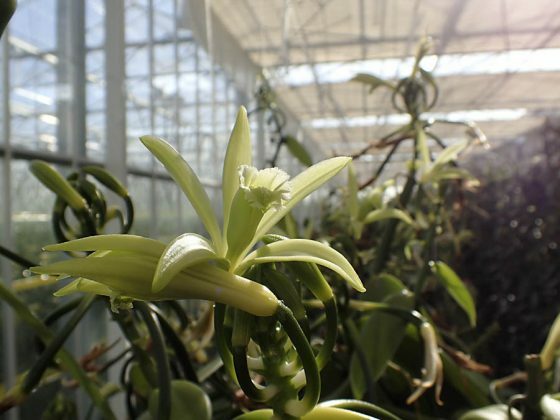 So it is not a surprise that the latest notable horticultural innovation in vanilla cultivation has Dutch origins. Filip van Noort, a Dutch scientist working on this ground-breaking scheme, described how it came about: “We needed to find new crops for growing in greenhouses because everyone else is growing tomatoes now. Vanilla is the second most expensive spice in the world. But there can be a lack of good quality. I have worked with orchids before so I thought how hard could it be? I can grow orchids so I should be able to grow vanilla under cultivation, and it would allow me to produce better quality.” With the costs of growing in a greenhouse being much more expensive than outdoor cultivation in the tropics, but taking place in a politically stable country, and with controlled conditions inside the greenhouses, this European vanilla that will start to enter the market in approximately two years offers some solutions to people using vanilla in products. Although global vanilla prices fluctuate, the costs of growing vanilla in greenhouses in Europe are relatively fixed, and the stable climatic conditions will offer consistent quality. 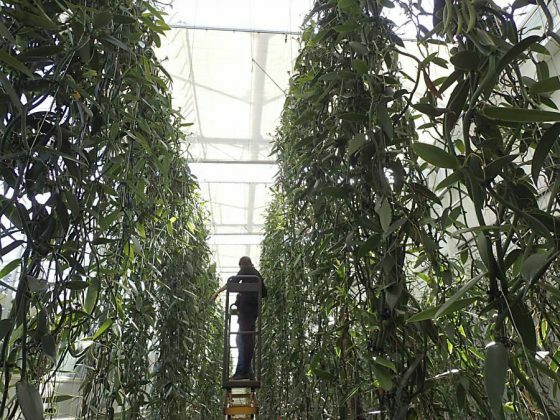 Additionally, when extreme weather causes vanilla crop failure in the tropics, the vanilla grown in greenhouses in Europe can still provide its expected yield. For a distiller who wants to brand their product as using vanilla from Tahiti, Madagascar or Mexico, countries renowned for their vanilla, European-grown vanilla is not the right provenance. However, for a distiller who wants to work with ingredients at more stable prices and with consistent flavor profiles, Tahitian vanilla grown in Europe could be the solution. In terms of branding, products using vanilla as a single note benefit from using vanilla of specific provenance in order to compete against well-known brands like Absolut Vanilia, which uses unspecified natural vanilla. For example, developing a trade partnership with a specific farmer or vanilla-growing community and using long-term commitment to work together on guaranteed harvests and quality. Or sourcing vanilla with provenance that has specific associations that work well in advertising, e.g., the exoticism of Tahitian vanilla. When infused in liquids, vanilla colors them golden brown, which is often the desired color for products such as spiced rum. It can be distilled, but some of the complexity of the aroma profile is lost due to heating. Vanilla is one of the most popular flavors in the USA. It is nearly impossible to go a day without encountering vanilla in some form, as a flavor in breakfast cereals or baked goods, or perfume in anything from moisturizing cream to car air fresheners. Against this backdrop of largely synthetic vanilla relying solely on vanillin, products made with real vanilla pods work as a flavor that is well loved, but has the nuances and allure of the more than 100 additional aromatics found in vanilla pods. Susanne Masters is a botanist specializing in edible plants and their trade around the world. 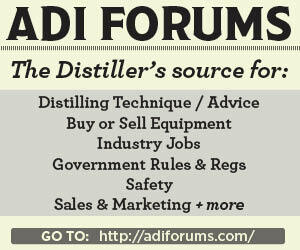 She works with distilleries on ingredient selection and sourcing. Susanne has run workshops, and written and spoken about plants in beverages for numerous publications and organizations including the Boutique Bar Show, Royal Botanic Gardens Kew, the Royal Horticultural Society, the Open Science Network and the Craft Gin Club.